In an attempt to get our podcast off the ground, I thought it would be a good idea to bring on our show some bigger names. Steve and I were planning to attend the Nationals game this past Wednesday, so I thought we should contact some members of the media and see if any of them will agree to come on our show with us. I figured we might as well give it a shot, but I was not necessarily expecting much of a response. So when Dave Jageler, the play-by-play radio commentator for the Washington Nationals, responded to me on Twitter and said he would like to record an episode with us, to say that I was ecstatic is quite the understatement. Steve also was very successful in his contacting endeavors. 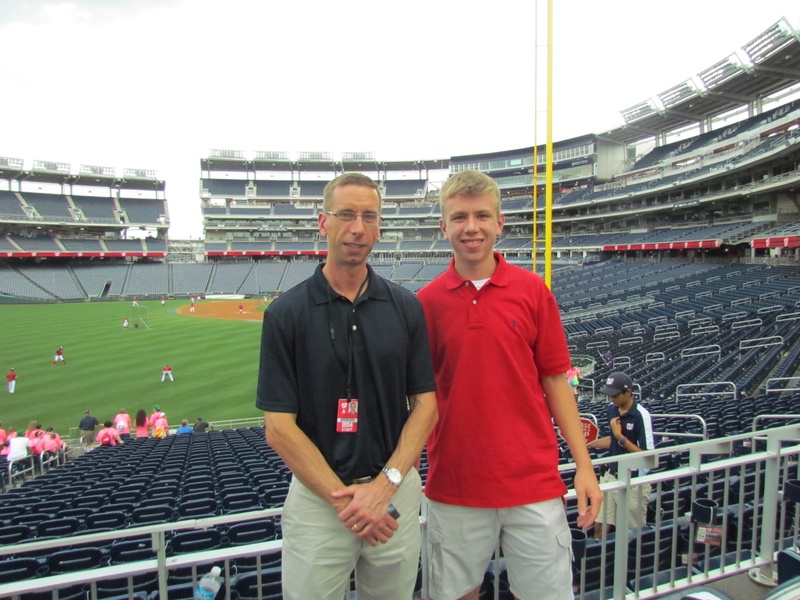 Steve was able to set up an interview with Rich Waltz, the TV commentator for the Miami Marlins. We had trouble believing that these interviews were actually going to take place and we knew these could help our podcast tremendously. In this post, I have included our podcast with Dave Jageler. As a Nationals fan, this was an incredible experience for me, and one that I surely will not forget for a long, long time. We would like to thank Dave very much for agreeing to come on to the show with us, and for the friendly usher who helped with our seating for the interview. We hope you enjoy it! Look for a post tomorrow including the podcast with Rich Waltz, or if you would like to check it out now, click HERE.